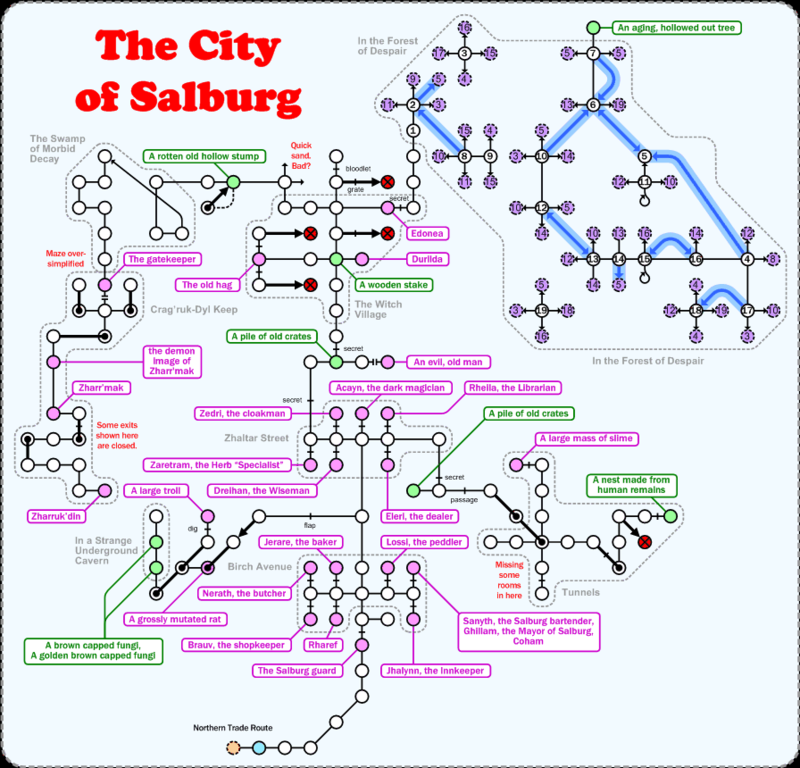 The City of Salburg, a great Av area, with a bunch of mobs to run and equipment to pick from their corpses. This map is technically incomplete, it's just missing a few rooms and some detail in the keep. I'll get around to tidying this up eventually. Walk ( 8n, ne, w, n, ne, nw, e, ne, n, e, ne, 2n, 2ne, w, 2nw, 3n, ne, e ) to get from DH to the room marked in blue on the first image.